IKKO (born Kazuyuki Toyoda ) is a Japanese cross dresser and make-up artist, also a famous TV personality. 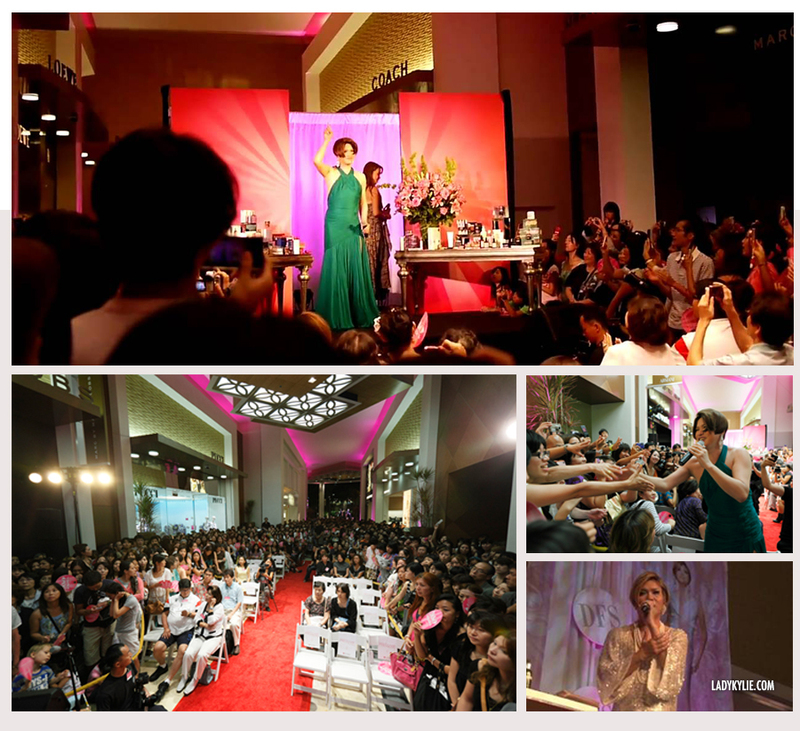 IKKO’s charming style and his talent of showcasing the elegant and beauty of feminine makes his appearance in events filled by enthusiastic Japanese fans. 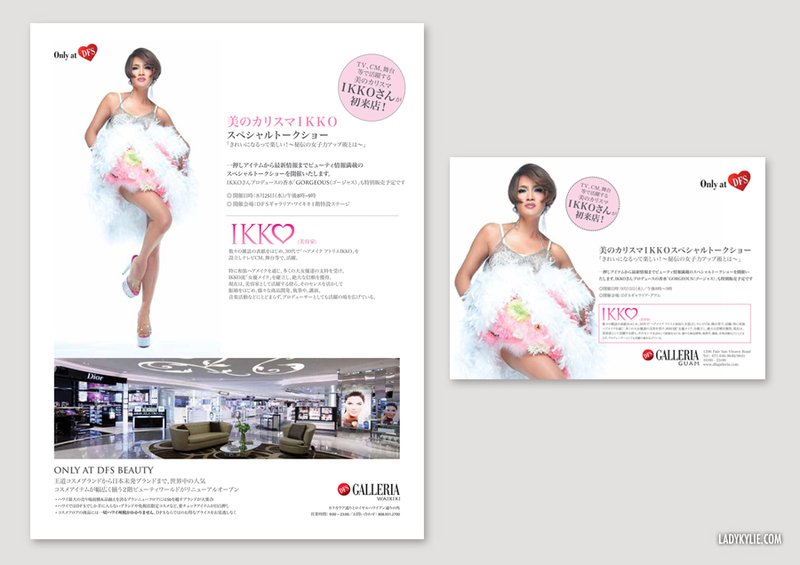 I was working for DFS on serveral “IKKO Events” from 2010-2013, mainly located in their Japanese customers mainly stores, such as Hawaii, Okinawa, Guam. "IKKO" logo that is used most often thourhout the event during the period of time. 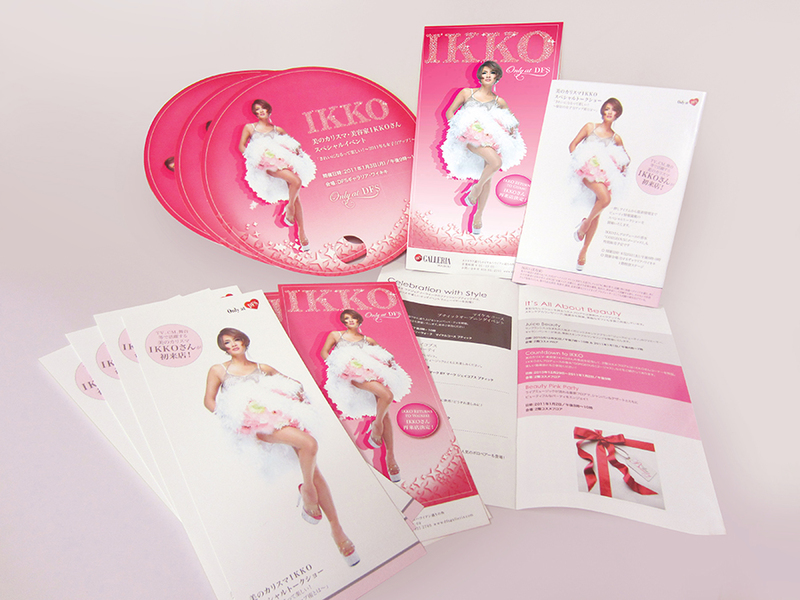 Printed materials - posters, adverts, lightboxes, gift (Hand fan), Flyers, booklet etc for the events. Mobile App interface design. This app is mainly for promoting Ikko's recommanded products. The Fans love the hand holding fan!! IKKO brings massive traffic to the stores.